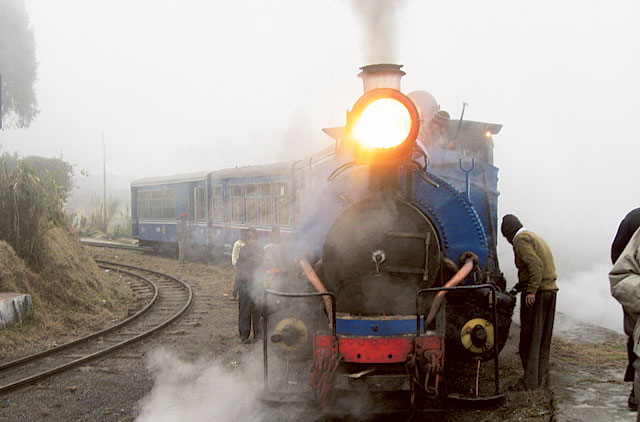 Kolkata: The Darjeeling toy train, officially known as the Darjeeling Himalayan Railway (DHR), may lose its World Heritage Site tag given by Unesco in 1999. It is only the second railway in the world to have this honour, the first one being Semmering Railway of Austria in 1998. Built between 1879 and 1881, the railway track is about 88 km, which is still used by the vintage British-built B Class steam locomotives. Sections of the track have been lying damaged by landslides and floods for the last three years provoking Unesco officials to do a rethink. The romantic railway journey on a 2 feet narrow gauge track that runs between New Jalpaiguri and Darjeeling in West Bengal is now a thing of the past. Running parallel to National Highway 55, the track has been uprooted at various places forcing the DHM to break the route into three separate sections. According to officials of the Indian Railway, currently four trains run between Darjeeling and Ghum — India’s highest railway station at 7,218 feet, and two trains on the Kurseong-Darjeeling route. The track is lying unused for three years for lack of repair due to bureaucratic obstacles. “West Bengal Public Works Department and Union Road Transport officials have been squabbling for the last three years as to who should repair National Highway 55. Unless that road is repaired, we are not able to repair the tracks since the track is on the road,” said an official of the DHR. Adhir Ranjan Chowdhury, minister-of-state for Indian Railways, told Gulf News that it may be difficult for the DHM to hold on to the World Heritage Site tag if the whole route is not made operational quickly. Recently Unesco officials meet members of the heritage committee of the railways warning them that if the track is not repaired immediately, it will be forced not only to revoke the heritage tag, but declare the route as dangerous for commuters. Roshan Giri, secretary general of GJM, blamed Trinamool Congress-led West Bengal government for the mess. “It just proves the neglect the hills face from the Bengal government. When Mamata Banerjee was railway minister, we meet her personally requesting her to solve this problem. But nothing happened,” he said.